Item Code: Features:100gsm sticky back sublimation transfer paper, It can suit for Lacra, Polyester. and Polyester with Spandex textile. Because these kinds textile has the shrink, so easy to have double image. Now we have the high tacky sublimation paper, when you heat transfer paper can stick on the textile. problem can not happend. 100gsm sticky back sublimation transfer paper, It can suit for Lacra, Polyester. and Polyester with Spandex textile. Because these kinds textile has the shrink, so easy to have double image. Now we have the high tacky sublimation paper, when you heat transfer paper can stick on the textile. problem can not happend. 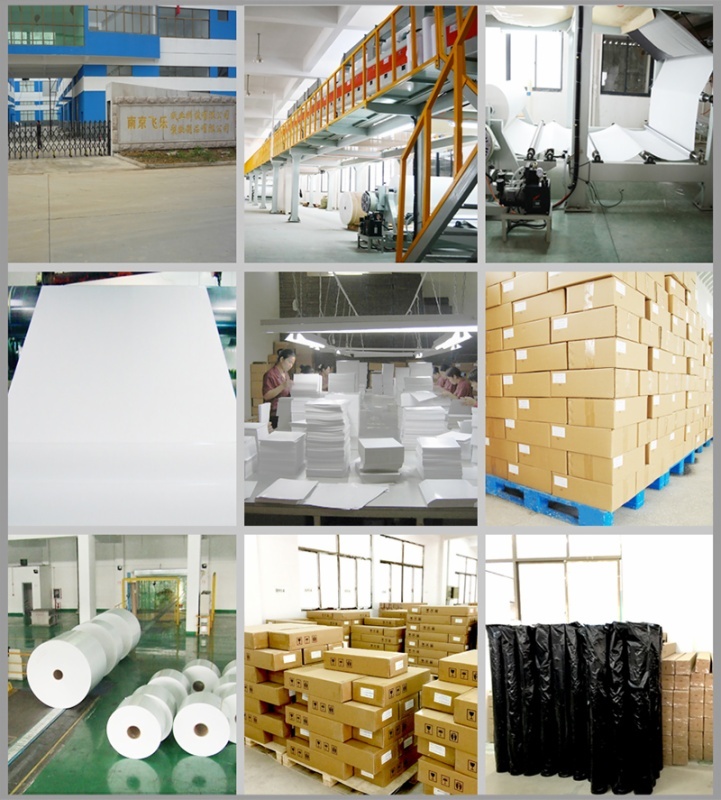 Adequate stickness on surface of transfer paper, removing the shadow effect, stable coupling of transfer paper and fabric, wide application for garments, accessories, signage etc. 1. 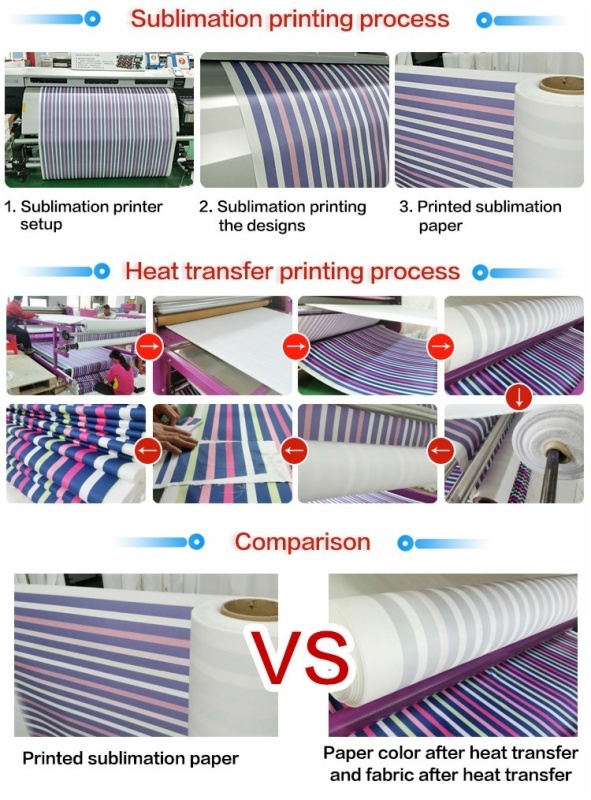 Coated sublimation paper for digital transfer printing with water-based dye sub inks. 2. Enhanced tack-effect to work with a wide range of spandex textiles. 3. Maximum reduction of textile shrinkage can be achieved. 4. The leval of tack depends on the fabric in use. 5. Prior testing is required. Tacky - Adhesive Sublimation Paper has a tacky super-uniform coated print surface activated during the transfer process. TexPrint-Tacky also has high fluid capacity, sharp definition and amazing color consistency. Tacky - Adhesive Sublimation Paper is compatible with all brands of digital sublimation inks and printers as well as most polyester fabrics. 100gsm High Sticky Sublimation Transfer Paper The high quality full sticky paper has an adequate volume of stickness on the whole papersurface which couples stably the fabric and sublimation paper while heat pressing process.﻿﻿﻿﻿﻿﻿﻿ The tacky sublimation paper with high transfer rate,Superb Color,high color reduction degree. New Generations of SKYIMAGE® Hi-Tack FS100 Adhesive Sublimation Transfer Paper Coated sublimation paper for digital transfer printing with water-based dye sub inks. Enhanced tackeffect to work with a wide range of spandex textiles. Maximum reduction of textile shrinkage can be achieved. The leval of tack depends on the fabric in use. Prior testing is required.